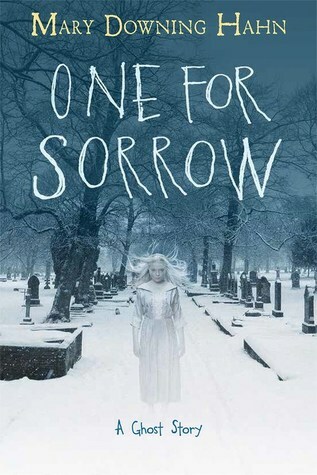 A month from today, Mary Downing Hahn’s newest spooky story, One for Sorrow, hits the shelves. It’s pretty well-known that I’m a wuss, so I figured this book would likely freak me out. I didn’t, however, expect it to scare the crap out of me–so much so that I couldn’t read it when it was dark outside. 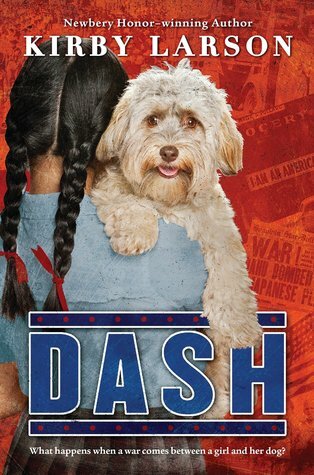 I don’t know how most young readers will respond to the book (the target audience is 4th-6th grade according to Booklist), but I found it to be absolutely terrifying. That’s probably all I need to say to make sure it flies off my library shelves (if I make the decision to purchase it). The year is 1918. America is involved in a world war, and an influenza epidemic has gripped many communities. Annie Browne and her family have just moved to town. She is the new girl at school, and she’s nervous about making friends. Someone claims Annie as a best friend almost immediately, but Annie’s not so sure she truly wants to be friends with Elsie, a strange, violent, and manipulative girl who won’t let Annie play or befriend the other girls at school. Annie’s a bit scared of Elsie, and she’s not sure how to free herself from her “friend’s” clutches. Eventually, when Elsie’s out of school for a couple of days, Annie gets her chance to befriend some other girls and escape Elsie’s influence. Annie even joins her new friends in mocking Elsie. She feels a little guilty about making Elsie miserable, but she doesn’t want to do anything to jeopardize her friendship with the other girls. Besides, Elsie brings a lot of this negative attention on herself. While Annie and her new friends are tormenting Elsie, the horrible Spanish Influenza has hit their town. Dozens of people are dying each day. Schools and businesses close, and people are taking all the precautions they can to keep from getting sick. One of Annie’s friends, Rosie, gets the bright idea to take advantage of the situation. She comes up with a plan to visit all the homes with black wreaths on the door, pretend to know the deceased, and load up on all of the cookies, candy, and cakes left for the mourners to eat. As for Annie, she does not want to see any dead bodies, but she goes along with Rosie’s morbid plan. (It’s hard to say no to Rosie.) Things are going okay with this whole scheme…until they recognize a girl lying in a coffin. It’s Elsie, Annie’s former “best friend” and the target of the girls’ relentless teasing. Annie feels horrible about Elsie’s death, and she wonders if she and her friends may have had something to do with it. Annie’s feelings only intensify when she realizes that Elsie hasn’t gone very far. Her ghost has returned and is determined to make Annie her eternal best friend…or else. Annie doesn’t know where to turn. Elsie, the very definition of a vengeful spirit, is turning everyone against Annie, making her say and do things she would never normally do, and convincing her friends, her teachers, and even her parents that Annie is going crazy. If Elsie doesn’t cross over soon, Annie’s entire world will be upended. Is there any way for Annie to rid herself of Elsie for good, or will she forever be the focus of Elsie’s rage? Read One for Sorrow by Mary Downing Hahn to find out! One for Sorrow is a great fit for middle grade readers. I’m on the fence right now about recommending it to upper elementary readers. I’ll do a bit more research and read other reviews before I decide whether or not to place it in my elementary school library. If you’d like to weigh in on this, please let me know what you think in the comments. In addition to being an excellent scary story, One for Sorrow teaches readers about the horrors of the flu epidemic of 1918 as well as providing a cautionary tale about bullying. Now, I’m not saying bullies will be haunted by the ghosts of those they tormented or anything, but it’s clear that there was bad behavior on all sides here. Elsie was horrible to Annie and the other girls in school, but did that mean the other girls should have been equally horrible? No, it did not. I think the lesson here is that you never know what someone else is going through, and a little kindness goes a long way. If you’d like to read this gripping novel for yourself, One for Sorrow will be available on July 18th. It’s definitely a page-turner that will be hard to put down. For more information on this book and others by Mary Downing Hahn, visit the author’s website. It’s my first Monday of summer break, and I’m continuing to make my way through the nominees for the 2017-18 South Carolina Children’s Book Award. (My job never really stops, does it?) My latest read is one that I devoured in about a day. 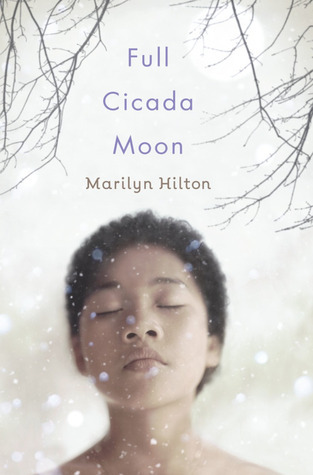 It’s Full Cicada Moon by Marilyn Hilton, and it’s both a novel in verse and a work of historical fiction. Neither of those categories are my typical favorites, but I absolutely loved this book, and I look forward to sharing it with my students in the coming year. This moving book takes a look at one girl’s life over the course of one year, beginning on January 1, 1969, and a big move from California to Vermont. Relocating from one coast to another is a lot to handle; when you’re a half-black, half-Japanese girl moving to a mostly white area, it’s even more difficult. 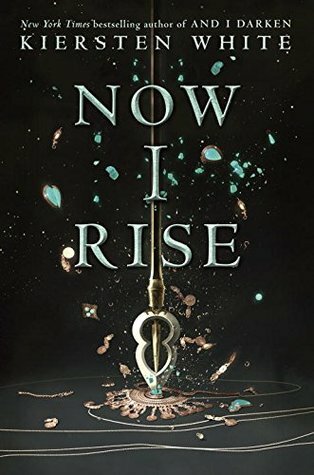 Our protagonist, Mimi, reflects on the move, the attitudes of people around her, her own dreams, and what she’s willing to do to achieve them in this wonderful novel that will hopefully inspire readers to stand up for themselves and do whatever they can to be the change they want to see in the world. Mimi dreams of becoming an astronaut one day. She loves studying science…even when people tell her that’s nothing something girls should be interested in. Mimi doesn’t care what other people think. She’s determined to go to space someday, just like the brave astronauts on the Apollo 11 mission. The people at her school in Vermont don’t know what to make of Mimi. For one thing, they’ve never really encountered someone with her cultural background. For another, they don’t know what to think of a girl who likes science and wants to take shop class instead of home ec. Mimi doesn’t see what the big deal is on either count. What does it matter what color her skin is? Why should that make people dislike her before they even know her? And why do girls have to learn to sew and cook? Why can’t they learn to use tools and build things? None of this makes sense to Mimi–and it sometimes gives her a sick feeling in her stomach–but she’s not going to let any of it stop her. Eventually, Mimi makes a couple of close friends who like her just the way she is, friends who support her efforts to change things. They may not always understand Mimi or their own privilege, but they’re willing to do what they can to help their friend. Those friendships, while helping Mimi to feel like she fits in her new town, also help give her courage to stand up for her rights. Things may not change overnight, but Mimi is determined to do what’s right. In the process, she may just change the attitudes of those around her. Maybe, once people–adults and kids–get to know Mimi and her family, they’ll realize that they’re not so different after all. Many readers will be able to see themselves in the character of Mimi, regardless of their racial backgrounds, but biracial readers may especially relate to Mimi. Mimi celebrates both her Japanese and African-American cultural traditions, all while trying to fit into a mostly white town. Mimi handles everything thrown at her with grace, tenacity, and courage, even when it would be much easier to respond in anger. In my opinion, she inspires others–both the characters in this book and those who read it–to do the same. Full Cicada Moon is a powerful read that celebrates the things that make us different as well as those that bring us together. 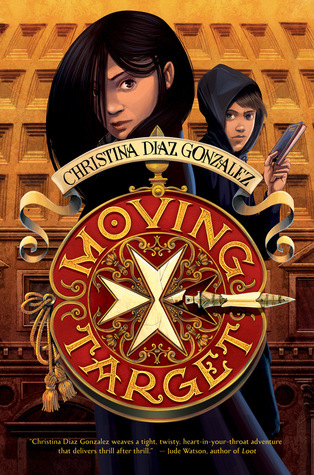 I cannot recommend it highly enough for any libraries that serve upper elementary, middle grade, and even teen readers. For more information on this wonderful book, visit author Marilyn Hilton’s website. You may also want to follow the author on Twitter. Yesterday, Jerry Spinelli’s newest book, The Warden’s Daughter, was released. I started reading it a bit earlier (thanks to NetGalley), but I didn’t manage to finish it until last night. It took a little while for me to gain traction with this book, but I flew through the latter half after school yesterday. As I got closer to the end, I was reading through a veil of tears. I needed a good cry, and this book delivered. Cammie O’Reilly doesn’t exactly have a normal home. She is the warden’s daughter, and she and her father live in a little apartment attached to the Hancock County Prison. A prison trustee, Eloda Pupko, takes care of Cammie, and Cammie is friendly with many of the female inmates. As much as she wishes differently, though, none of them can really take the place of the mother who died when Cammie was just a baby. Or can they? During the summer of 1959, Cammie does whatever she can to get someone, preferably Eloda, to mother her. It doesn’t seem to be working out for her, and this just adds to Cammie’s general sense of unhappiness. Sure, she has things she enjoys–talking about American Bandstand with her friend Reggie, playing baseball, eating junk food until she’s sick, and talking to Boo Boo, one of Hancock’s most colorful prisoners–but Cammie is not really happy. This summer, big changes are in store for Cammie, and it’s not just turning the big 1-3. A new, controversial prisoner enters Hancock’s gates. Reggie, Cammie’s best friend, becomes obsessed with fame. Cammie finds friends–and an odd sense of family–in an unlikely situation. And Cammie’s entire world is rocked by a loss that no one could have anticipated. Cammie struggles to cope with everything happening around her, and she lashes out at those close to her. Her anger and sorrow make her reckless, and she begins doing things she never thought she would. Her life seems to be spiraling out of control, and she doesn’t know how to get back on track. The Warden’s Daughter is a great piece of historical fiction that is ideal for middle grade collections. Would I place it in an elementary library? Probably not. I’m not sure that my students are developmentally ready to tackle the question of capital punishment–an issue that is addressed in this book. There are also a few other situations in the book (suicide, rebellion, smoking, etc.) that, in my humble opinion, make it more suited to a middle grade audience. I do think that this book could start some interesting discussions on how people in prison are treated. Cammie’s father, the warden, doesn’t treat his inmates as if they are subhuman. He treats them, even those who’ve committed the most heinous crimes, with respect. That’s something very different than what I’ve seen portrayed on the news and in various other forms of media. It might be worthwhile to have readers examine Callie’s father’s mindset with how today’s prisons are run or how they are portrayed in the media. Which way is better, and how can prisons be reformed? It’s thought-provoking to say the least. 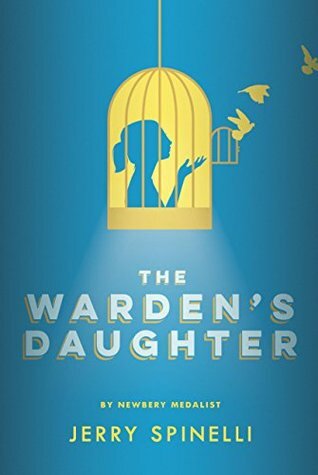 If The Warden’s Daughter sounds like your cup of tea, I encourage you to give it a read. Given that I’m not normally drawn to historical fiction, I liked it a lot. I hope you will, too. To learn more about this book and others by Jerry Spinelli, visit the author’s website. Enjoy! Well, I’ve done it. I’ve finally finished reading all of the nominees for the 2016-17 South Carolina Book Award, and it seems that I saved one of the most powerful books on the list for last. I guess I shouldn’t be surprised, given that the book, Stella by Starlight, was written by Sharon Draper. 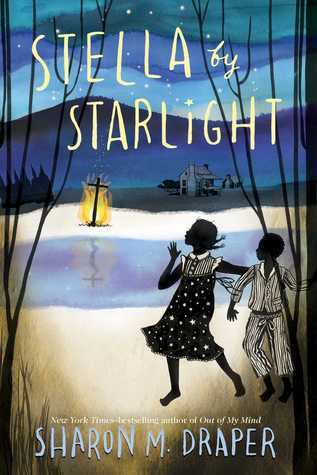 Stella by Starlight is not a comfortable read, and I think that’s what makes it so important. This book, which takes place in the segregated South during the Great Depression, doesn’t shy away from the racism, hatred, and fear that was so prevalent at the time. (Anyone who is paying attention would agree that these things are still prevalent.) But this book also emphasizes the power of family, community, faith, and courage in the face of adversity. I don’t know what more I can say about Stella by Starlight. It’s an excellent piece of historical fiction, and I hope that many teachers and students will use it to supplement their understanding of racism, both in the segregated South and in the present day. For more information on Stella by Starlight and other books by Sharon Draper, visit the author’s website. You can also connect with Ms. Draper on Facebook and Twitter. A few minutes ago, I finished reading one more of this year’s South Carolina Children’s Book Award nominees. (Only one more to go!) 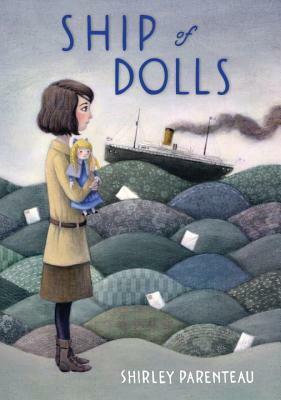 The book was Ship of Dolls by Shirley Parenteau. If Ship of Dolls sounds like the book for you, there’s more to enjoy. A second book, Dolls of Hope, follows the very doll in Lexie’s story on it’s journey in Japan. A third book, Dolls of War, is scheduled for a Fall 2017 release, and there will also be a fourth and final book in the series called Dolls of Secret. You can find more information on all of these Friendship Doll books on author Shirley Parenteau’s website. With that, I’m going to wrap things up and enjoy my last few hours of freedom before the new school year begins. So long for now!